Updated Thursday September 13, 2018 by West Hill Baseball League. 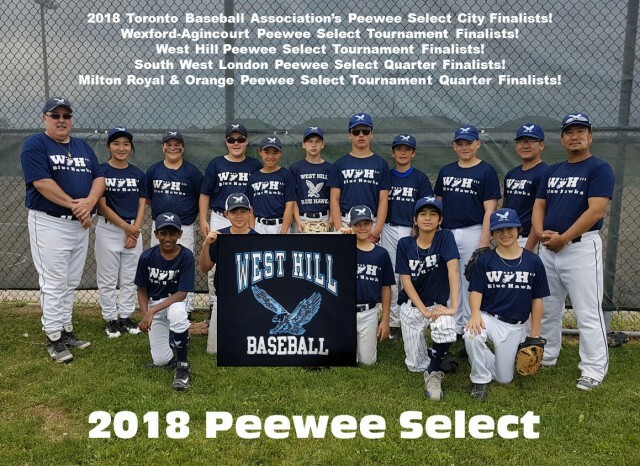 With over half of the players new to this years roster and under the guidance of a revamped coaching staff our peewee select team enjoyed a very successful season in all areas of the game. Players continued to develop their skills, new friendships were created as well as old ones strengthened and the love of the game was shared throughout the parents, the coaches and most importantly the players themselves! Great season Peewee Select Blue Hawks!